In 2015, non-profit safety science company Underwriters Laboratories (UL) and its Chemical Research Initiative, the Georgia Institute of Technology (Georgia Tech), and Emory University Rollins School of Public Health, worked together to conduct a two-year study on desktop 3D printer emissions. Over the course of the study, Dr. Marilyn Black, the Vice President and Senior Technical Advisor at UL Chemical Safety, and the rest of the research team found that desktop 3D printer emissions can actually pose a potential health threat. This month, UL Chemical Safety, a science-directed research group that is part of UL, and Georgia Tech released their previous findings, and announced a new body of research that will look into the impact of 3D printing on indoor air quality. 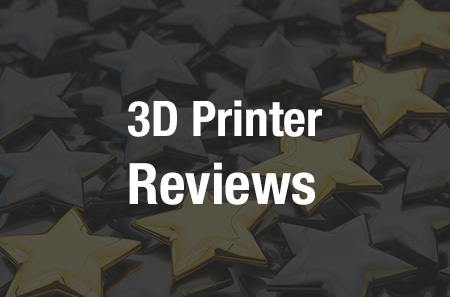 The previous study determined that while many desktop 3D printers are in operation, they generate ultrafine particles (UFPs), which are the size of nanoparticles. This is concerning because users can easily inhale these tiny UFPs, which then penetrate deep into the pulmonary system. Additionally, the team’s research showed that over 200 different volatile organic compounds (VOCs), many of which are either suspected or known carcinogens and irritants, are also released into the air while 3D printers are operating. “Studies have shown that fused filament fabrication (FFF) 3D printers designed for general public use emit high levels of ultrafine and fine particles. Preliminary tests with in vivo, in vitro and acellular methods for particles generated by a limited number of filaments showed adverse responses,” explained Dr. Rodney Weber, Georgia Tech’s primary investigator of the research. There are plenty of different factors, from filament type and color to nozzle temperature and even the brand of 3D printer, that can affect the level of emissions, and while there are definitely products out there that purport to make 3D printing safer, there isn’t a lot of available marketplace information just yet. These findings from Georgia Tech and UL come as 3D printing continues to gain momentum in commercial, consumer, educational, medical, and military applications, and if the issue of harmful emission levels is not addressed, there could be a potential public health risk. 3D printers are being used more and more often in school settings, and as children are the most sensitive population to the impact of contaminants such as VOCs, we need to make sure we’re protecting them by reducing their exposure to emissions. Researchers from UL and Georgia Tech recently published two scientific research papers, titled “Investigating particle emissions and aerosol dynamics from a consumer fused deposition modeling 3D printer with a lognormal moment aerosol model” and “Characterization of particle emissions from consumer fused deposition modeling 3D printers,” in the journal Aerosol Science and Technology. Additionally, two more papers regarding the “plethora of chemical emissions” and 3D printer particle toxicity are currently under review. Based on the current research, and further collaboration with third-party stakeholders, a new UL/American National Standards Institute (ANSI) consensus standard has been developed for testing and evaluating 3D printer emissions. UL/ANSI 2904 is currently available for review and comment, and the final standard should be ready next month. What do you think about this? Discuss this research and other 3D printing topics at 3DPrintBoard.com or share your thoughts in the Facebook comments below.